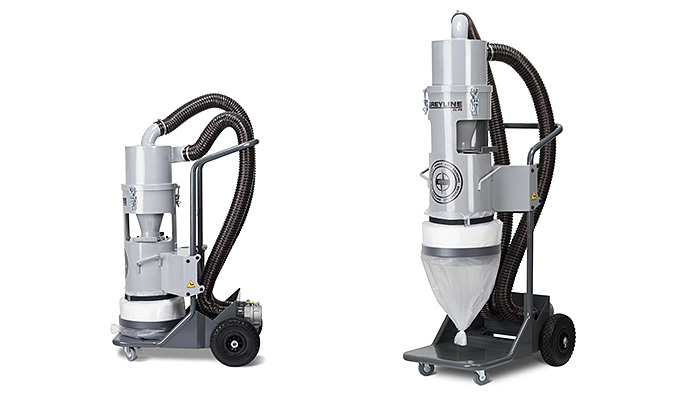 HTC GL PS is a sturdy pre-separator that removes the large particles, such as heavy chips, bits of metal, screws and other things that might come in the way on a construction site, before they reach the dust extractor. This will increase the dust extractor’s overall capacity and it will significantly extend the life of your filters. 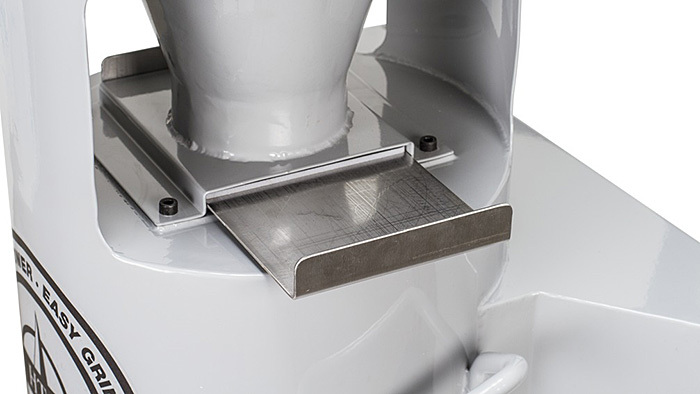 The pre-separator is height adjustable and the large rubber wheels make the machine easy to move around. The new GL PS is not just another "trash-can" separator. This special unit (which is also integrated in the HTC 80 iD) is thoroughly tested and designed for the most optimal airflow to separate large particles in the airflow. Also, the "by-pass" valve makes continuous operation possible. The operator can change the dust bag in the pre-separator without turning off the dust extractor and therefore save valuable time. To use as little space as possible during transportation the machine is easy to adjust in height. During transportation the height is only 1300 mm, or 51 in.